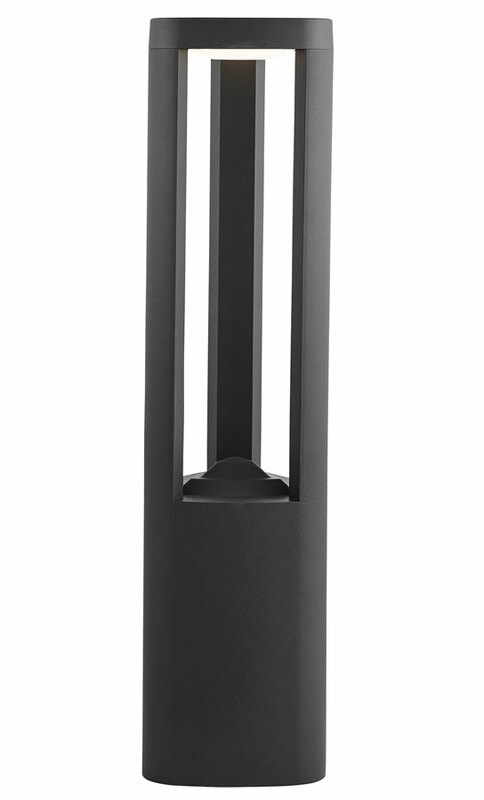 A contemporary, triangular profile IP54 rated LED outdoor post light constructed from cast aluminium with a very dark grey finish. A clear LED light diffuser nestles inside the three columns at the the top of the fitting to shine light downwards onto the floor. 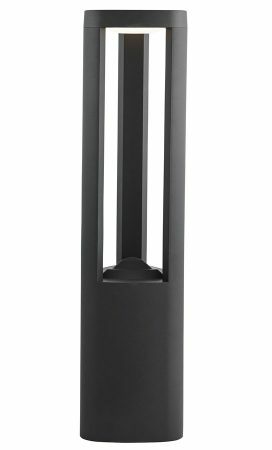 This modern 50cm tall outdoor bollard light is supplied fitted with 5.2w of cool white LED lighting and produces a respectable 540 lumens, making it a cost effective solution for lighting today’s outdoor social space or driveway area. Other products in this sleek outdoor lighting range can be viewed below and include a taller 80cm tall version of this light fitting and a matching wall light.